With the battle between Hillary Clinton and Donald Trump threatening to tear this country in half (hopefully not literally), it’s important for Americans to know that they have a third option. No, we don’t mean whining about Bernie Sanders on Reddit. We’re talking about Andrew W.K. and The Party Party he announced back in March, which he’ll be taking on a countrywide speaking tour later this summer to bring a little positivity to this election and—we assume—to promote partying in general. Dubbed “The Power Of Partying,” a press release says the tour will be “an intimate celebration of discussion, a pep rally for the inner spirit, and an optimistic look at the overwhelming intensity of life.” It’ll also involve W.K. “continuing his eternal mission to defend and promote human joy, and the never-ending collective search to find truth through partying.” W.K. 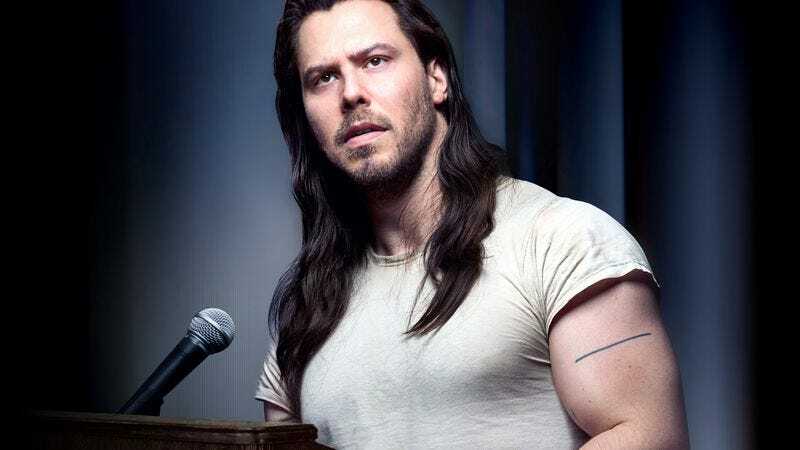 won’t just be stopping in the swing states either, as the Power Of Partying tour will actually hit all 50 states in the U.S., including the boring ones that nobody likes and the stuck-up ones that think they’re so great. Tickets will go on sale this Friday, and you can see the full list of tour dates below.